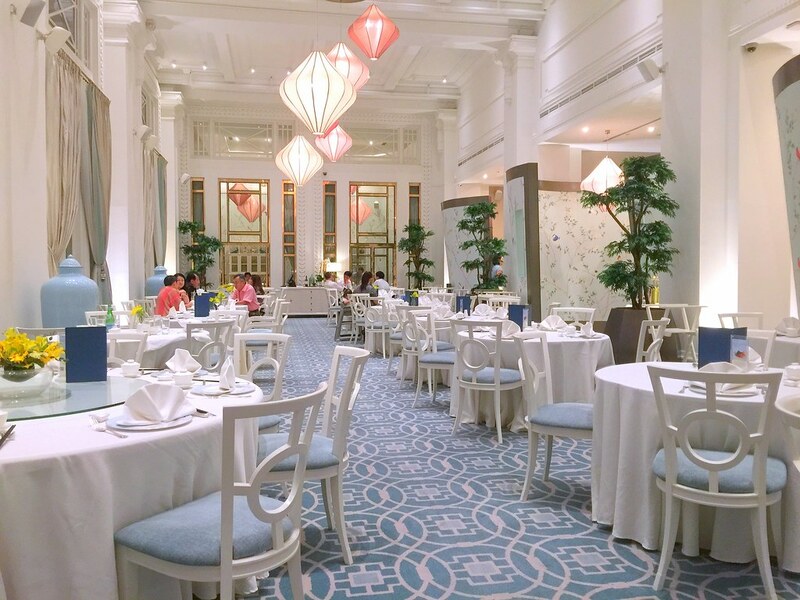 Jade Restaurant at Fullerton Hotel has been given a refreshed look with a brighter and softer interior, as per how Chef Leong has put it, the interior was like the seasons, from Autumn, skipping Fall and we are now in Spring. 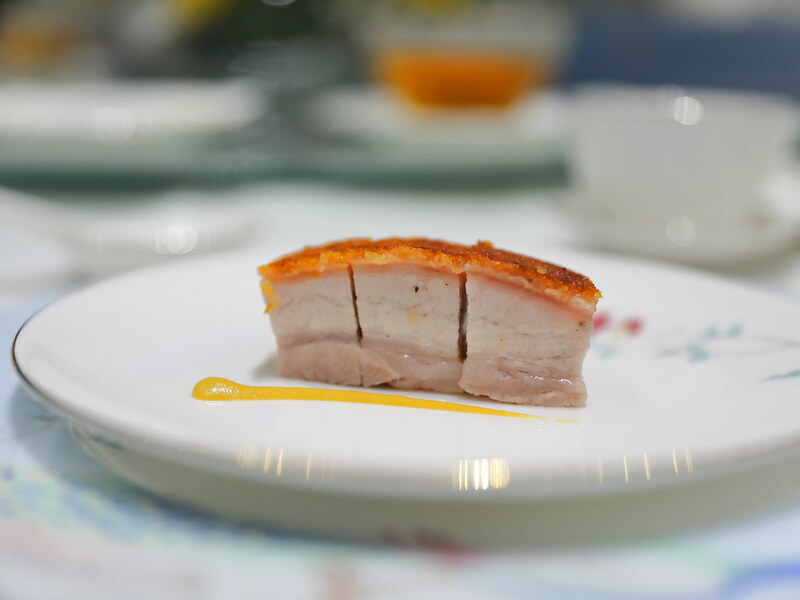 Back to the new look Jade Restaurant, we started with one of their classic dish - Crispy Roasted Pork Belly. Unlike most roasted pork belly, this is roasted in five spice, salt and sugar. The charred bits of the skin was trimmed off and twice roasted for a thinner and crispier enjoyment of the crackling skin on top of the succulent meat. 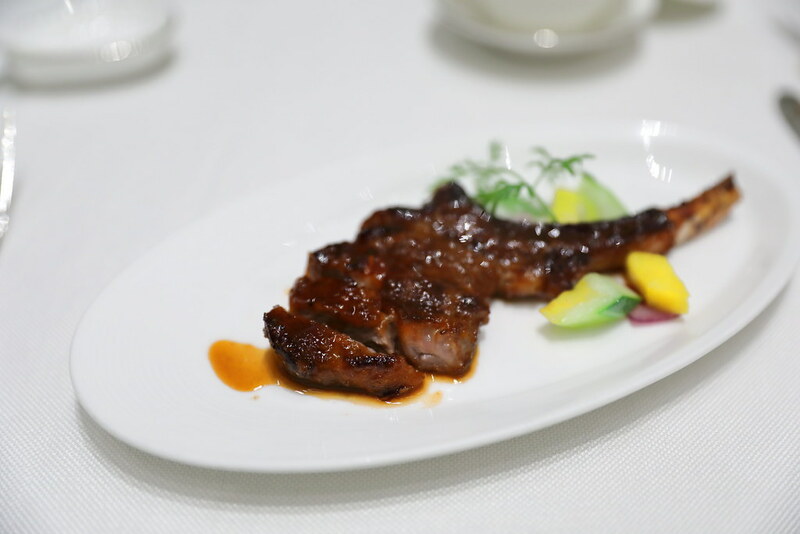 You simply need to pick up the Baked Lemongrass Char Siew Lamb Rib Loin with your hands to enjoy the caramelised sweetness of the lamb rib. The piece of meat is well marinated and you don't get the gaminess of the lamb. This tasted exactly like a piece of char siew. 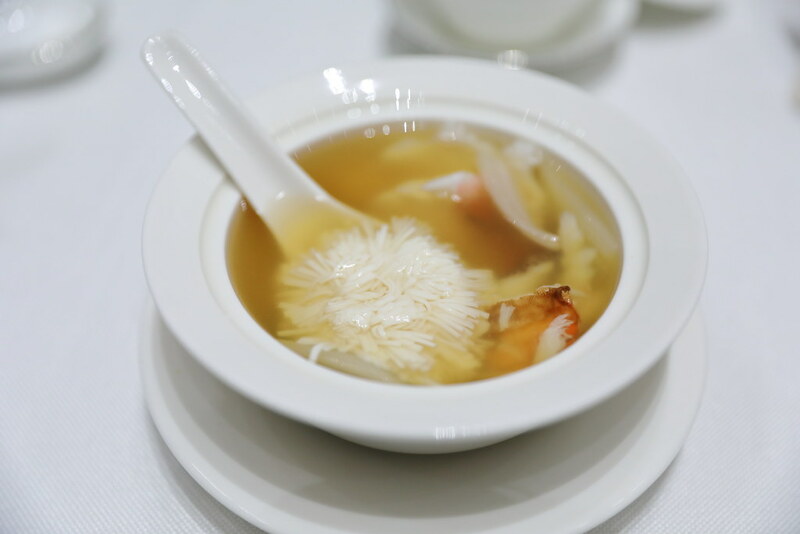 At Jade Restaurant, you will get different type of soup each day. Our Soup of The Day is Crab and Tofu Soup. The first thing that caught my eyes is the tofu that has been cut into shape to look like a coral floating in the soup accompanied with pieces of crab meat. The soup which has been boiled for hours, was light but yet flavourful. It has a complex flavour that was pleasing to the palate. 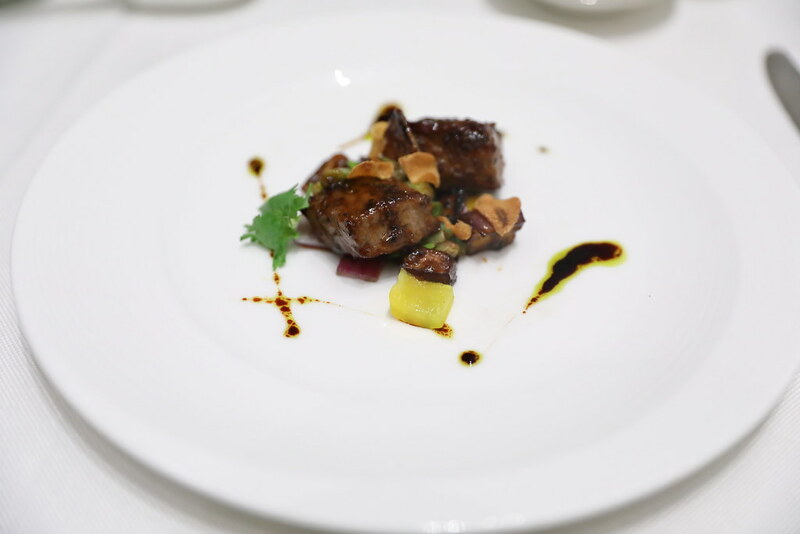 Chef Leong definitely does justify to a good piece of beef in his execution of the Sauteed Beef Tenderloin with Crispy Garlic in Black Pepper Sauce. The beef was tender and juicy coated in black pepper sauce for a subtle fiery finish, complemented by the crispy garlic. 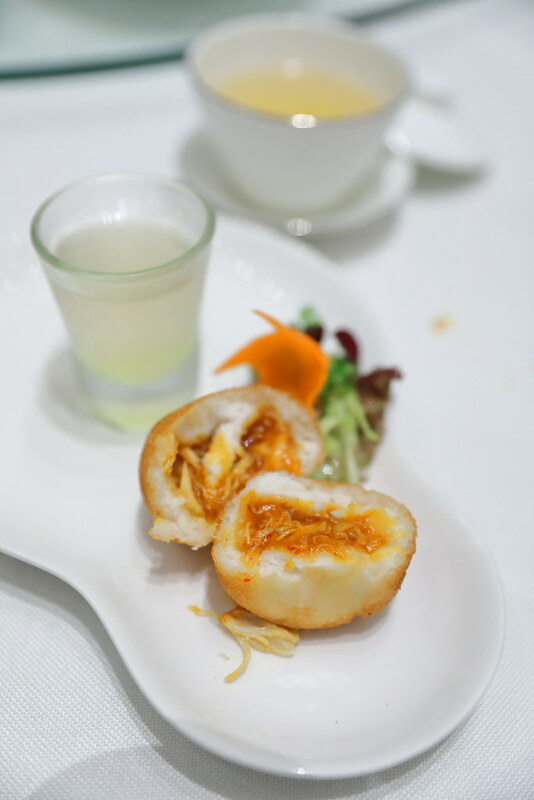 If you do not know, Jade Restaurant also offers weekend dim sum for brunch from 11am to 3pm with around 55 items. We get to try the Barbecued Osmanthus Flavoured Char Siew Bun and Chilli Crab Bun during our visit. 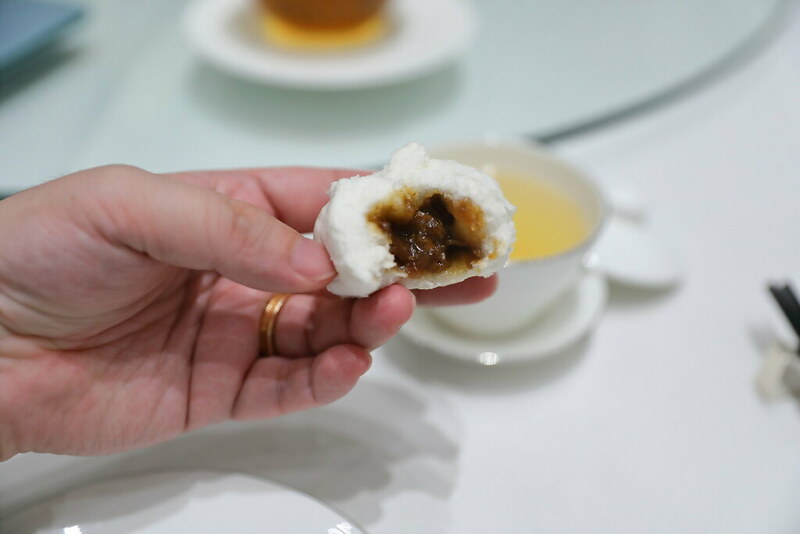 I enjoyed the char siew bun a lot for the fact that the char siew filling encased in the soft and fluffy dough is not too sweet and comes with a subtle hint of floral flavour from the osmanthus. 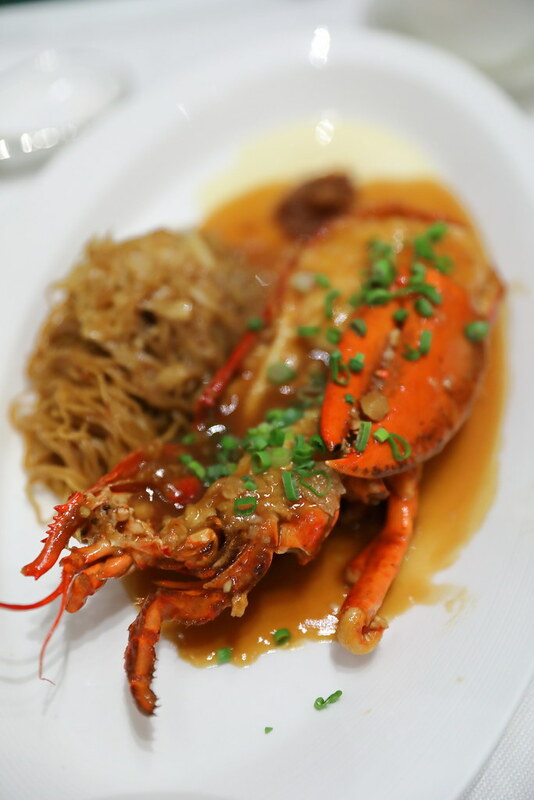 Not to be missed at Jade Restaurant is the Simmered Egg Noodles with Boston Lobster and XO Chilli Sauce. The egg noodles used is those wanton mee type, which has a springy texture fried with pork lard. The boston lobster is dressed in a savoury brown sauce complementing the firm and bouncy flesh. 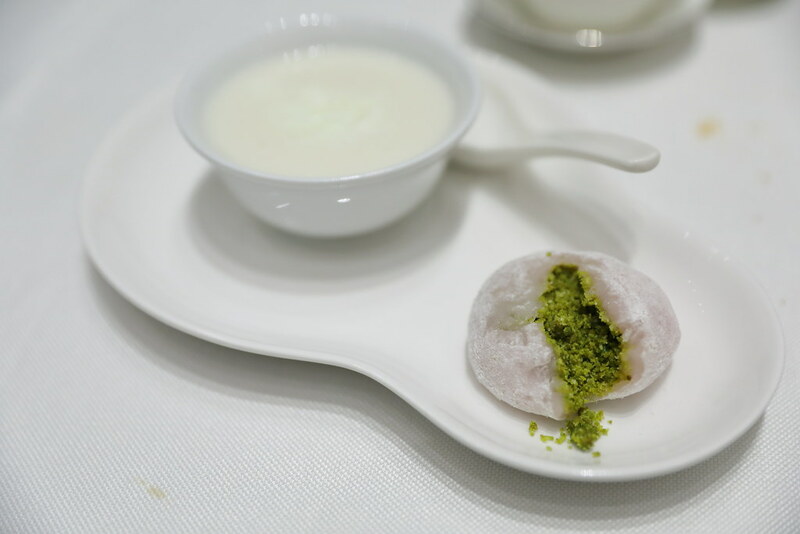 Wrapping up the dinner, we had the Hot Almond Cream with Egg White and Pistachio Muah Chee. The hot almond cream with egg white is warm and comforting to wash down all the richness I have eaten. The real star on the plate goes to the soft and chewy pistachio muah chee, with its nutty stuffing.